The University of Hertfordshire: What will Italy's discerning coffee drinkers make of Starbucks? What will Italy's discerning coffee drinkers make of Starbucks? “With great humility and respect” Starbucks has announced it intends to open its first outlets in Italy in 2017. For Howard Schultz, who transformed the Seattle roaster from 17 stores focused on selling coffee beans into a global chain with more than 22,500 outlets, this latest opening is different. It was in Milan in 1983 that Schultz first experienced the theatre of Italian espresso bars and conceived the notion of opening similar establishments in the US: 34 years later Starbucks is coming to its spiritual home. Italians see it differently. The announcement provoked predictable reactions – an affront to the nation’s coffee culture, another example of American imperialism – accompanied by the usual lament that Italy’s entrepreneurs failed to seize the opportunities created by its culinary genius. The fact that there are no coffee shop chains in Italy suggest they could be right. The typical Starbucks customer experience certainly has little in common with that of the average Italian coffee bar. 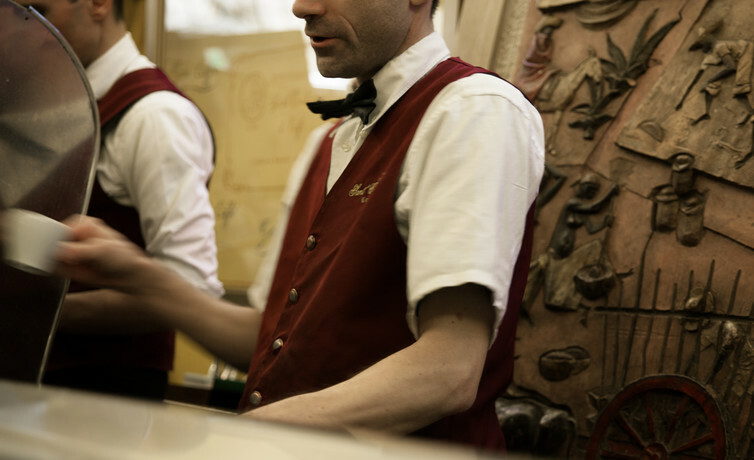 Schultz realised that his first attempts to create a supposedly “authentic” Italian experience – coffee consumed standing up, prepared by baristas in bow ties with opera music in the background – needed to be translated into a more American approach. Jazz on the speakers, sofas to sit on, and, most importantly, a change of emphasis within the coffee menu were introduced. Customers had little interest in espresso. They wanted to spend longer sipping larger-sized beverages, while either socialising within the store, or taking them away to drink on the go. Milk and syrups provided the solution, sweetening the drinks, while increasing their volume. A small cappuccino in Starbucks was soon twice the size of the same drink in Italy, while caffè latte was introduced for those who didn’t appreciate froth – in effect an espresso au lait. To these were added an ever-expanding range of syrups and sprinklings; the more successful Starbucks became, the less Italian it appeared. Starbucks, however, exercised a hugely positive influence upon the Italian coffee industry. 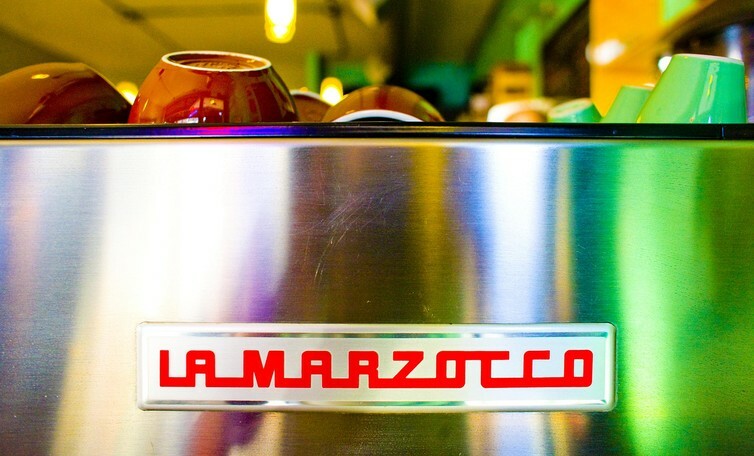 Until 1999 the company bought all its coffee machines from La Marzocco, an artisan operation based near Florence. As a result of this visibility, it became one of the most highly regarded manufacturers in the world, exporting more than 95% of its machines. Indeed, the global growth in coffee shop culture inspired by Starbucks generated a massive expansion in export earnings throughout the Italian coffee sector. In 1988 Italy exported 12,000 tonnes of roasted coffee – by 2013 that had risen to 191,000 tonnes, and 36% of all the beans roasted in the country are now exported, generating a remarkable 84% of the total value of coffee sales. More than 70% of espresso machines made by Italian companies are sold outside the country. Italian roasters have set up their own coffee shop chains and licensing operations abroad – Segafredo, for example, operates in 37 countries. And they have not hesitated to change their offerings to suit local tastes as the introduction of “instant espresso” coffee by Illy and Lavazza in the UK demonstrates. Autogrill, the leading Italian catering group, even runs licensed Starbucks outlets in its overseas airports concessions including in the US. Yet no coffee chain stores have ever been established in Italy. Italian coffee culture is distinctive in many ways, which goes some way to explaining why no chain has ever established itself. Starbucks will have to decide whether it tries to mimic the existing style of coffee drinking, or import its American hybrid coffee culture. 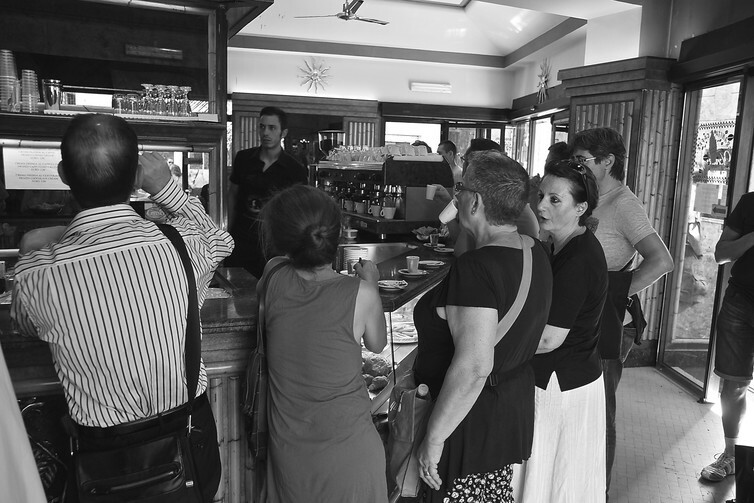 The vast majority of coffee sales in Italy are of straight espresso, consumed standing at the bar, during a break during the working day. People do not hang about in coffee shops, as an espresso can be drunk in a few sips, while a cappuccino is rarely taken beyond breakfast time. These habits were shaped by legislation introduced in 1911 allowing councils to introduce a maximum price for a single cup of coffee without service, set in conjunction with the local proprietors associations. This has evolved over time, but a standard price for an espresso of around €0.94 still applies across most cities today. Compare that price with the UK where a standard Starbucks espresso costs £1.70 – that is €2.21. Neighbourhood coffee bars sprung up during the “economic miracle” of the 1950s and 1960s, when many Italians moved from the countryside to the city in search of work. These still operate as family businesses, economising on labour costs. Coffee comes from local roasters who offer espresso machines and all the accoutrements needed to operate a bar on extremely favourable credit terms to secure the contract. The result is an extremely fragmented sector operating with low sales volumes, low service and low profit margins. And, frequently, low-quality coffee. Roasters incorporate cheaper robusta beans into their blends, masking taste defects by using the highly caramelised roasts associated with espresso. Starbucks operates on the reverse principles to this. It seeks high footfall locations, generating large volumes of customers who are offered high levels of service (sofas, wi-fi, bathrooms) in return for paying a substantial premium for their Italian-style beverages. So what should Starbucks’ strategy be in Italy? The chain claims it will adapt to local tastes, serving a specially created blend of espresso to customers standing at a bar. Even so, it is difficult to see how Starbucks can expect to charge a premium for its Italian-style coffees. The reverse approach – seeking to leverage value on its American-style filter coffees and non-traditional drinks such as chai lattes – might prove more attractive to an Italian youth market keen for a taste of contemporary America, and places to hang out. 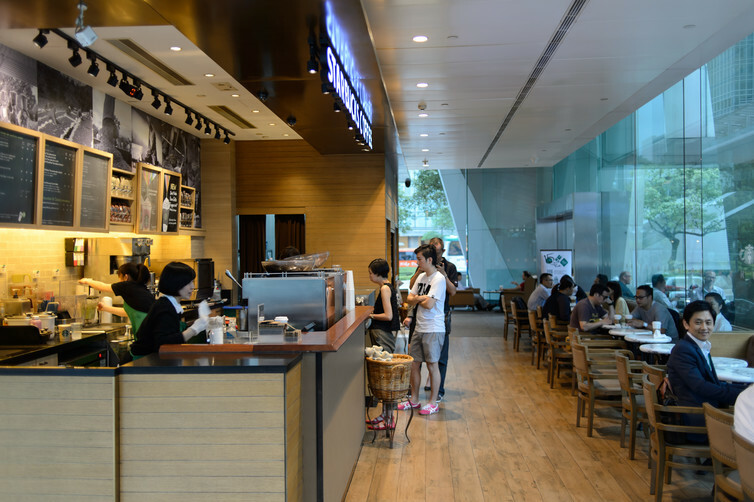 Initially, however, I expect Starbucks' progress in Italy to mimic its experience in France where the company largely confined itself to serving tourists in strategic locations. Only after the 2008 crash has it gained traction, as much as a low-cost eatery as a coffee shop. Starbucks intends to license its Italian outlets to local operator Percassi, which is better known for its retail and real estate holdings. This suggests a reluctance to assume the entry costs at its own risk, and awareness that they are embarking on a long game.